Rafael Nadal wins US Open 2017 Men’s Singles title. 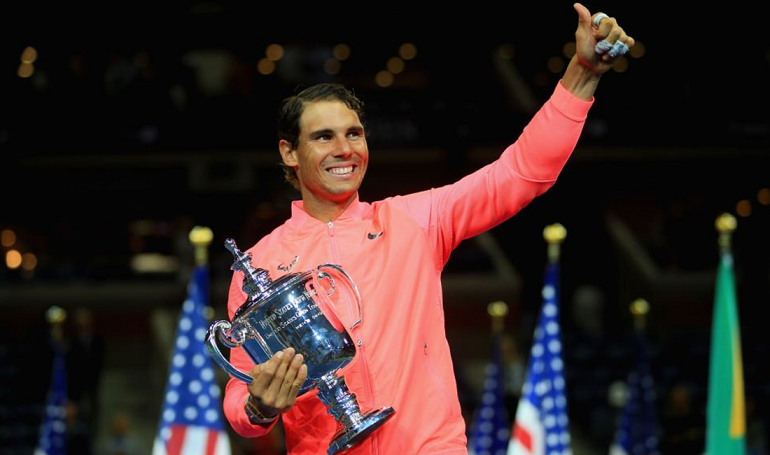 The 31-year-old Spaniard beat South Africa's Kevin Anderson 6-3 6-3 6-4 to win his third title in New York. Following his French Open success in June, it is the first time since 2013 that Nadal has won two Slams in a year. While his battling South African opponent kept the contest from being a complete blowout, there was never a single moment when Nadal was under threat. Despite being one of the biggest servers on the ATP Tour, Kevin Anderson was unable make a dent in Nadal’s defence and he managed not a single break point in his maiden Grand Slam final.